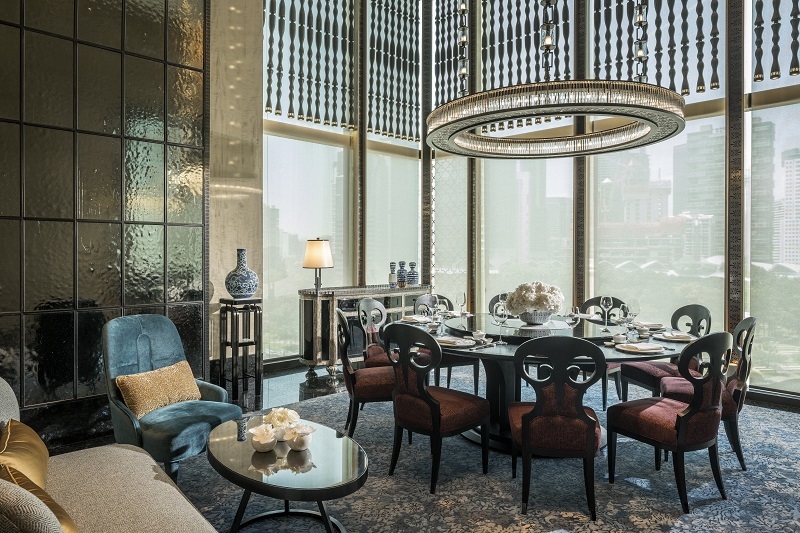 Elegantly executed Cantonese cuisine with a view of the city skyline. The renowned author Lin Yutang might have written, “The Chinese do not draw any distinction between food and medicine” but nourishment certainly was not the reason why my eyes immediately zeroed in on the crispy fish skin with salted egg yolk (RM48) and deep-fried eggplant with cereal (RM48) when scouring Yun House’s menu for appetisers. For people who have not lived in Malaysia or Singapore recently, please be informed that the culinary juggernaut that is salted egg yolk anything — be it crisps to deep-fried mantis prawns — is not showing signs of falling by the food trend wayside anytime soon. So, beginning with a plateful of crispy fish skin coated with salted egg yolk while you peruse the menu makes for a perfect prelude to your Yun House experience. Besides the interesting menu, which offers a wide range of exquisite traditional Cantonese delicacies like double-boiled ten head abalone soup with whole dried scallop and matsutake mushrooms (RM158 per person) and braised Japanese sea cucumber with fish maw in a rich sauce (RM328), it is also more than possible to dine in sumptuous style at Yun House without having to reach too deep into your pockets — contrary to popular belief. One tiresome Monday evening, I had decided it was necessary to realign the way things were going in order to ensure a better four working days ahead. So, off to Yun House I trooped. Upon entering the luxury Four Seasons Hotel Kuala Lumpur’s soothing interiors, you can literally feel your heartbeat slowing down a little. 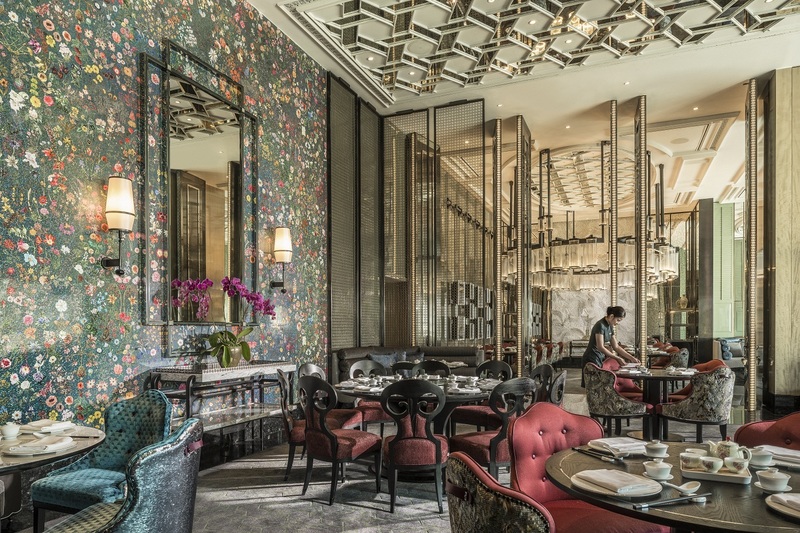 The approach to your table, though, is dramatic, taking you past an illuminated onyx reception and pewter panels engraved with plum blossom, orchid, bamboo and chrysanthemum, collectively referred to as “the four gentlemen” in Chinese art. Yun House also offers a great view of the city skyline and neighbouring KLCC Park (yun means “park” in Cantonese), so it is a very good idea indeed to come for an early dinner to catch the changing colours as day transforms into night. If your banker is not buying or you simply wish to keep things simple but sublime, the best way to begin would be with a serving of Hong Kong-style roast duck (RM108 for a half portion) accompanied by plum and hoisin sauces. We decided to pair this with a decanted bottle of 1985 Château Ducru-Beaucaillou as well as a Dom Perignon Rosé Vintage 2004. Both tasted great with the duck although, truth be told, the Saint-Julien proved a more fitting match. If the first day of the work week is already trying, it is a good idea to load up on protein to ensure more muscle to power through. As such, we succumbed to the call of pan-seared wagyu with fragrant sea salt (RM338 for 230g) and were rewarded with flavourful, juicy slices of perfectly-done meat that made me think that a Chinese restaurant — as opposed to a steak house — could well be the answer the next time I have a craving for red meat. 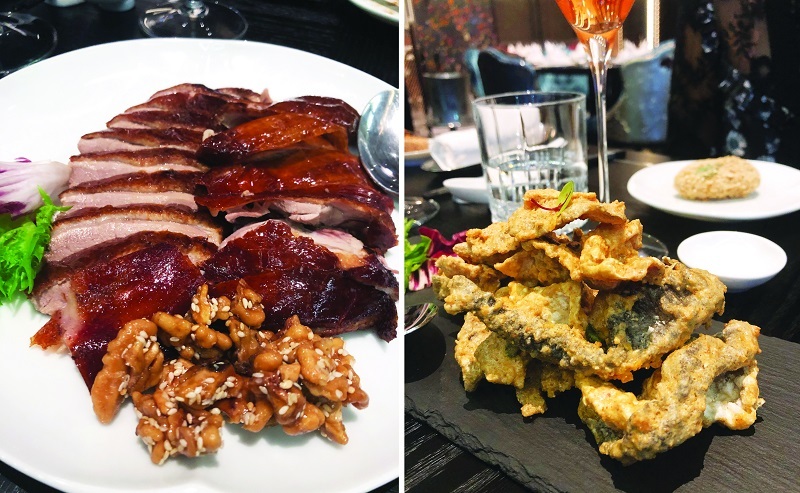 Again, the Saint-Julien and champagne cast a glow over everything, including the simple-but-satisfying vegetable dishes of wok-fried Hong Kong kai lan with ginger sauce (RM53) and Chinese yam with lily bulbs, pumpkin and asparagus (RM72). 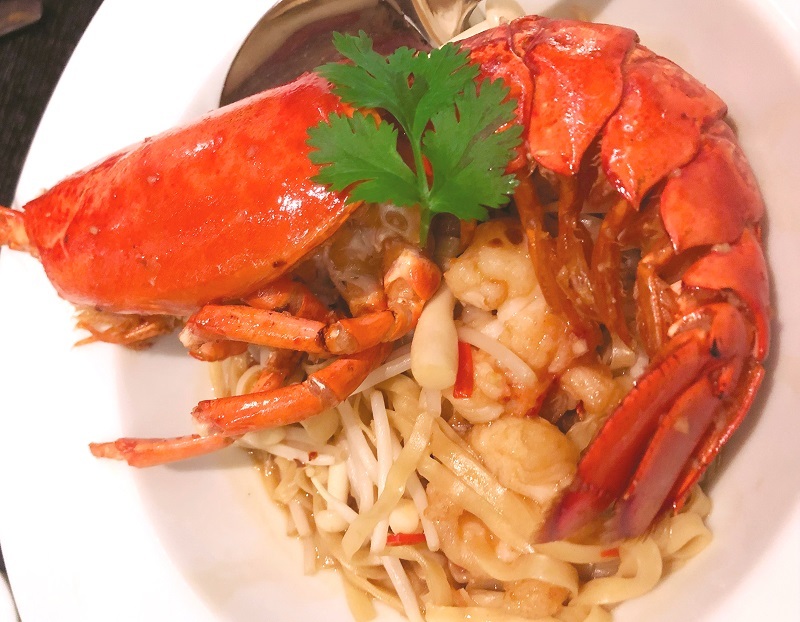 Perhaps we were buoyed somewhat by the bubbles but, in a flight of fancy, we decided to end the meal with a classy serving of carbohydrates and, of course, it had to be lobster noodles. It featured the Boston variety braised with egg flat noodles in a mildly spicy XO scallop sauce (RM148) — ideal for those who miss their Queensway or Bayswater fix but who secretly yearn for a more luxed-up version. When it was time for pudding, we really could not stomach the idea of more food although the homemade signature durian pancake and chilled aloe vera jelly with lime sounded most tempting. Given that the Four Seasons is as swanky a joint as they come, it is comforting to know that corkage for wine is capped at RM180 per bottle, so it makes perfect sense to skip dessert and break out the Sauternes you had cleverly BYO-ed along. After all, as good as durian pancakes or jelly sound, it pales in comparison to the sublime sweetness a bottle of Château Rieussec or Yquem affords. But if you did not come prepared, fret not. The Four Seasons’ equally beautiful Bar Trigona is worth a post-prandial prop-up. Named after a local stingless bee, end the night with the signature cocktail — the Trigona Old Fashioned, made with local honey, Cynar, bourbon and garnished with fragrant cedar. May all Mondays be like this in the future. Four Seasons Hotel Kuala Lumpur, 145 Jalan Ampang. 03 2382 8888. Mon-Fri, noon-2.30pm; Sat-Sun, 10.30am-3pm. Dinner, 6-10.30pm. This article first appeared on Jan 14, 2019 in The Edge Malaysia.